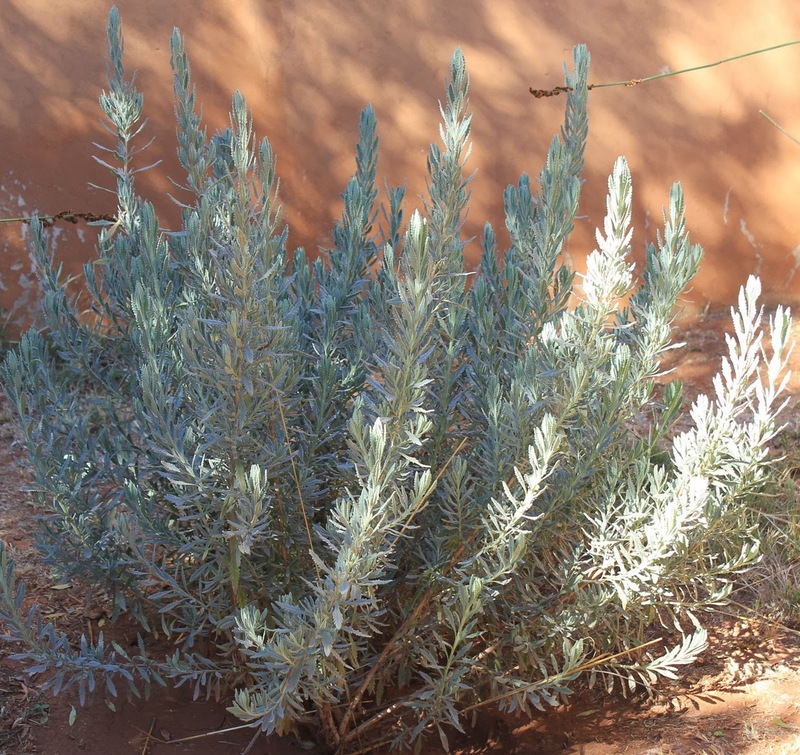 Said to bring protection to the household if planted at the front gate, Lavender has long been a favourite in the garden, in herb lore, and in the medicine chest. Its Latin origin “lavare” to wash, bears testimony not only to it’s refreshing smell but also to antiseptic qualities. 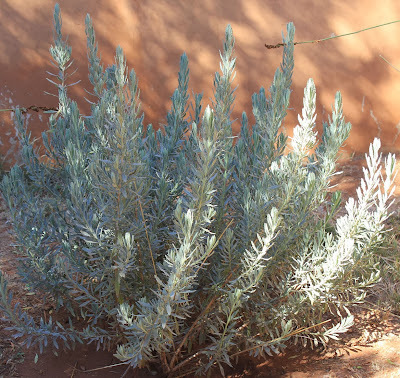 Much fuss is made in some books about ensuring that only the flower of English Lavender (Lavandula angustifolia) is used as a healing herb but in this (as in many things), I follow Yvette van Wyk, one of our best-know South African gurus on herbs. 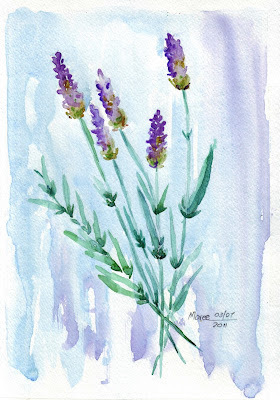 Yvette suggests that all major species, including the French (Lavandula dentata) are fine, and that all aerial parts are usable. 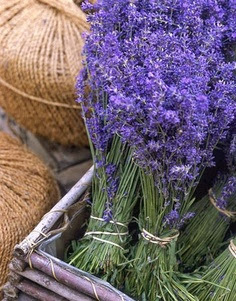 Lavender is particularly effective as a relief from tension headaches. Make a strong cup of lavender tea (officially called an infusion - see box on making infusions). Sip the tea, and inhale the wonderful smell for (almost) instant soothing. Lavender is also fantastic for insomnia. Drink a cup of tea just before bedtime, or sleep with a sprig between your pillow and pillowcase. Also good for calming the nerves, lifting the spirits, and curing sore throats (gargle with a warm infusion) and bad breath (due not only to its sweet smell but also its antiseptic qualities). As an antiseptic, I find the essential oil the most convenient and never travel without it. (It is imperative to use organic essential oils, as there are no pesticide or fungicide residues. The distillation process is also done slowly, with as little heat and pressure as possible. This ensures the therapeutic value of the oil.) It is mild enough to be used straight on the skin if necessary and is great for insect bites and small injuries. Ideally it should be combined with warm water to clean out grazes, small cuts, and the like, and can also be used like this as a gargle (add about 5 drops to a glass of warm water). Apply a drop to each temple for headache relief. Lavender oil is one of the best treatments for minor burns. (Apply only after the burn has cooled.) Add a few drops of essential oil to the bath to relieve tension, and to take the sting out of sunburn. Lavender is one of the essential oils that is mild enough to be safe for children. Mix 100 drops (5 ml) of lavender essential oil and 5 drops of peppermint essential oil with ¼ cup vodka. (Use the good stuff. You can buy 50 ml "nip" bottle of high test at the liquor store. It will be enough.) Stir into 3 cups of distilled, spring or well water. It will turn cloudy, but it won't stain cloth. Store in a glass container and shake before using. Add a quarter cup to rinse water with your bed linens for a comforting scent that will soothe you to sleep.